Converts passive potentiometer input into active 0-10V output . 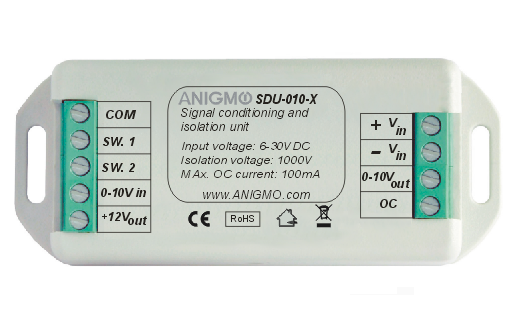 Converts contact closure(switch) input into active 0-10V output. Controls up to 30 PWM dimmers. Ground isolation eliminates ground loops. Parallel OC output controls line voltage via power packs.